It's Mardi Gras season here in my neck of the woods. 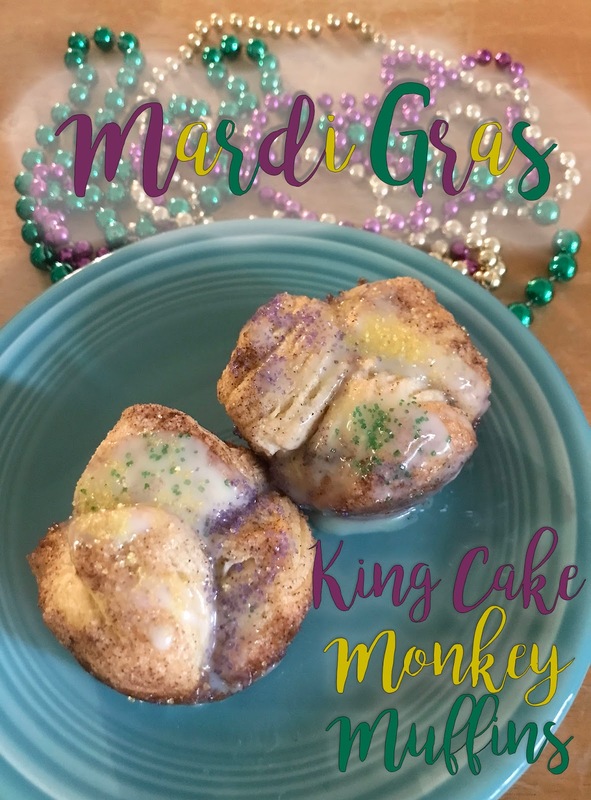 Since tomorrow is Mardi Gras Day, I thought I'd share this fun recipe that's a take on a King Cake, a typical dessert this time of the year. Also, I must admit that this is a take on Pioneer Woman's Monkey Muffins with my own little flair. I use a can of large flaky biscuits, butter, sugar, cinnamon, sweetened condensed milk, and colored sprinkles (in purple, yellow (gold), and green). 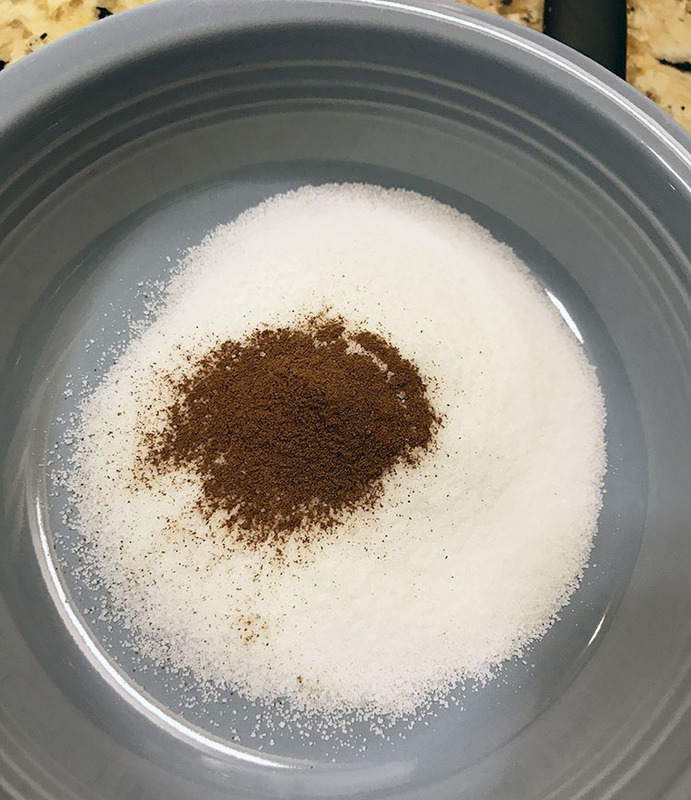 Start by mixing 1/4 Cup of sugar with 1 tsp. of cinnamon in a small, shallow bowl. Sprinkle about 1/2 tsp. of sugar into each cup. Add a shake or two of cinnamon. This combination forms an amazing "crust" of caramelized sugar on the bottom of the muffins. Just wait and see! Cut your muffin into 3-4 pieces. I cut these into 4 because they're the large biscuits. 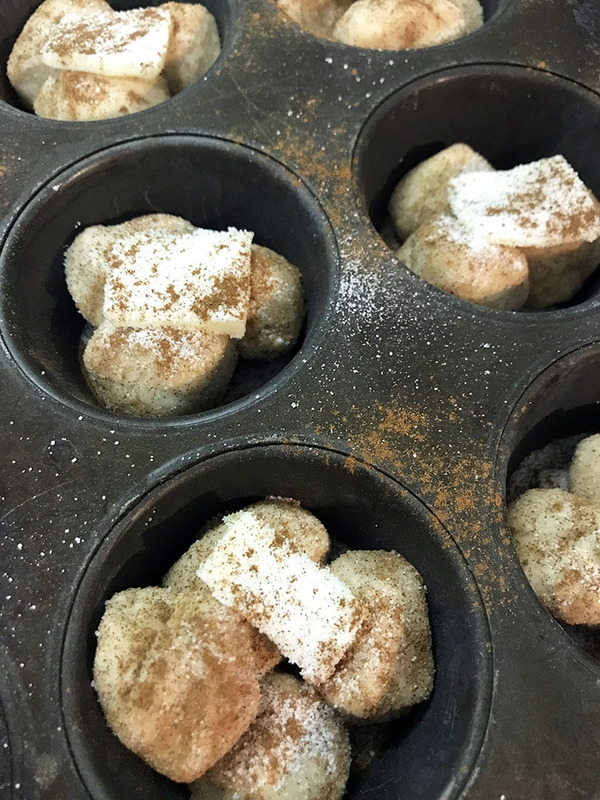 Roll each piece of cut dough between your hands into a rough ball then roll the ball in the cinnamon sugar. Place 3 or 4 of the sugared dough balls into each of the buttered cups. Top the dough with another layer of butter, sugar, and cinnamon. Bake at 375 degrees (Fahrenheit) for 15 minutes or until evenly brown. 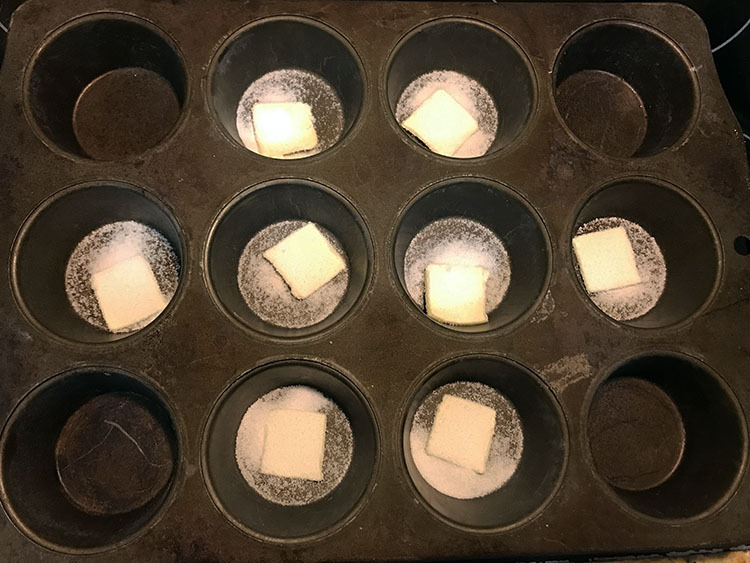 While the muffins are still hot, drizzle sweetened condensed milk over each muffin. Sprinkle a little of each color of the colored sugar onto the muffins. Keep each color in its own area so that they show up better. 3. 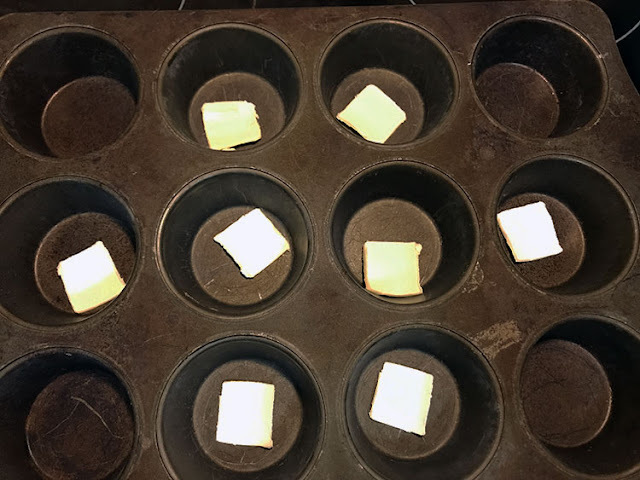 Place a small sliver of butter into each muffin cup. 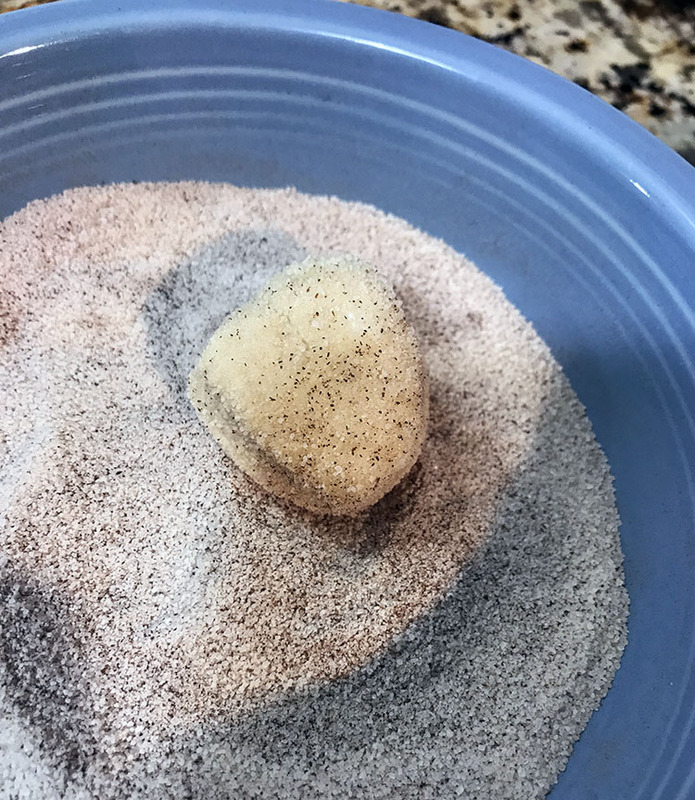 Top with a sprinkling of sugar and cinnamon. 4. 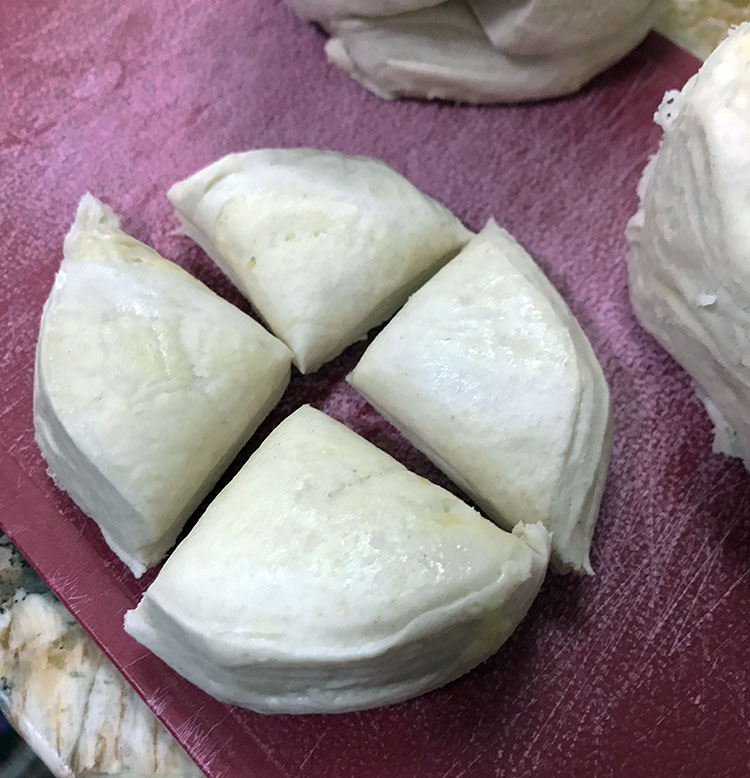 Cut dough into small portions (a large, raw biscuit works well cut into fourths). 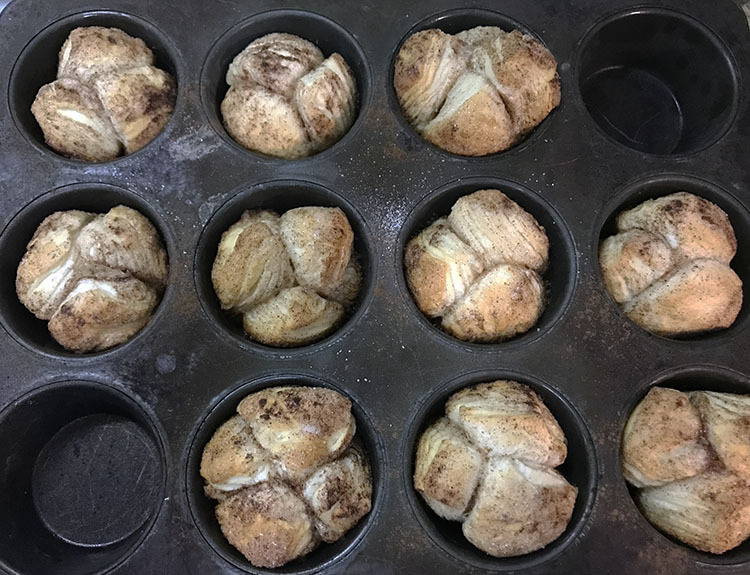 Roll each portion into a ball. 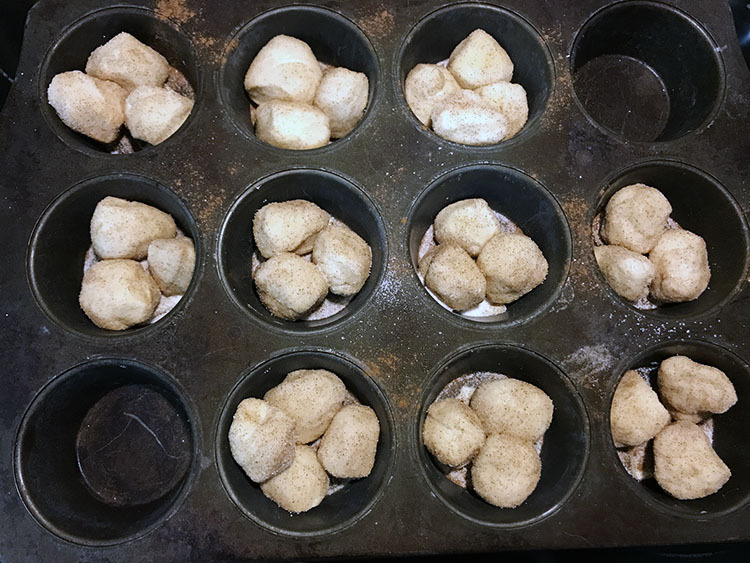 Roll dough balls in the cinnamon sugar mix. 7. 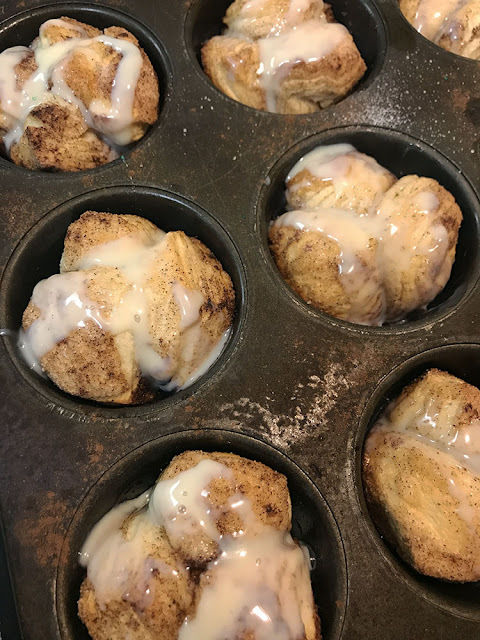 Drizzle sweetened condensed milk over each muffin. 8. Sprinkle a little of each color sprinkle on each muffin. 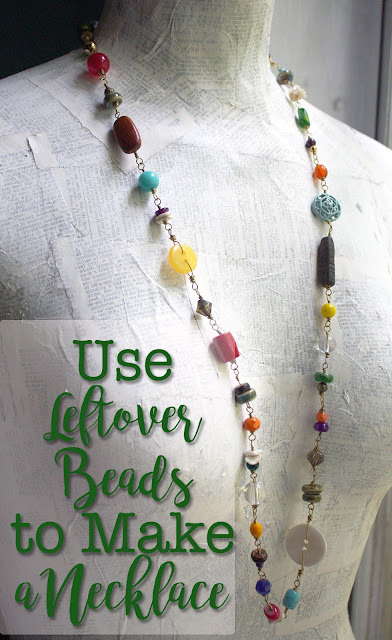 I'm linking this post up at Show and Share on Coastal Charm, Saturday Sparks Link Party at Pieced Pastimes, and Sweet Inspiration Link Party at A Crafty Mix. You'll have to save them as a treat when you meet your goal! They are so good!! 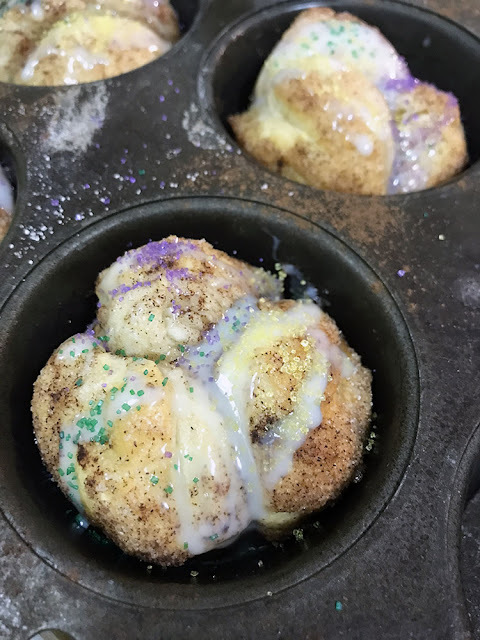 And, they can be made outside of Mardi Gras by either leaving off or changing the color of the sprinkles. Unfortunately, I know no way to make them healthier. Sorry! Best of luck on your weight loss journey! Oh wow Hope!! We just went to our Mardi Gras parade here yesterday and these would have been amazing to have with us. 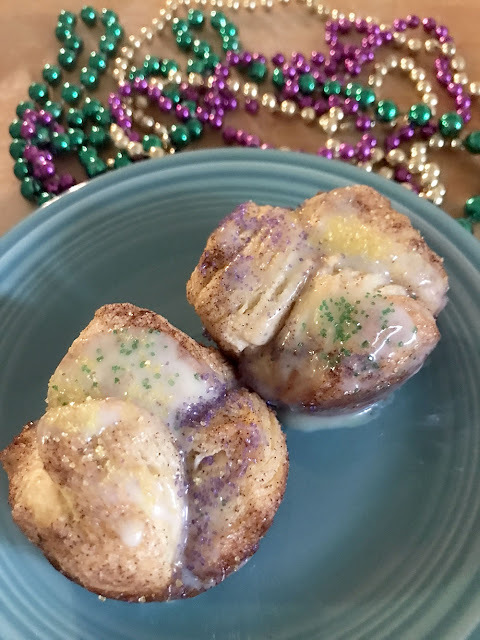 But Fat Tuesday is tomorrow so I am making these for us... Thanks for the recipe. Have a great day! Michelle, These work great with the pre-made dough. 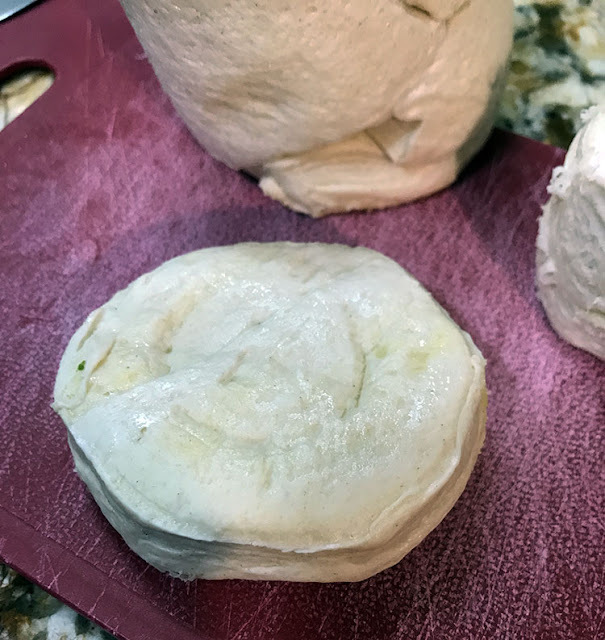 Though, you could use just about any kind of dough...the original recipe says that pizza dough would work too. I like that it's a super-easy recipe. 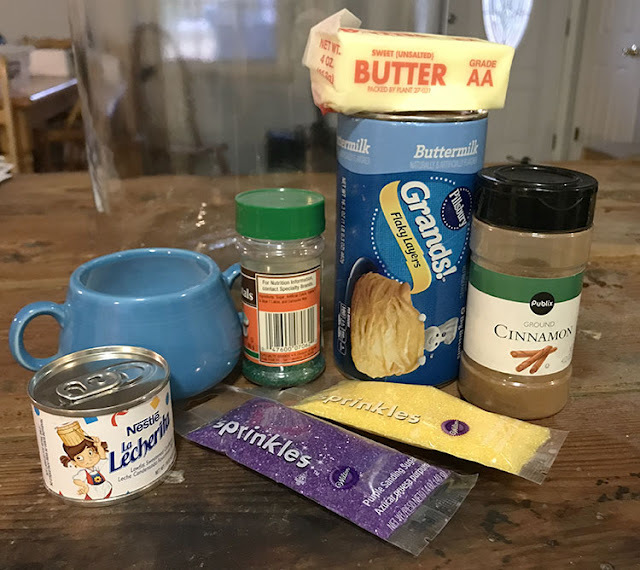 I don't function well in the morning and the ease of this recipe helps to get a breakfast made for my husband. I used to make a larger version of this in a bundt pan for my school children and it smelled incredible! Their little eyes were huge and couldn't wait to dig in! 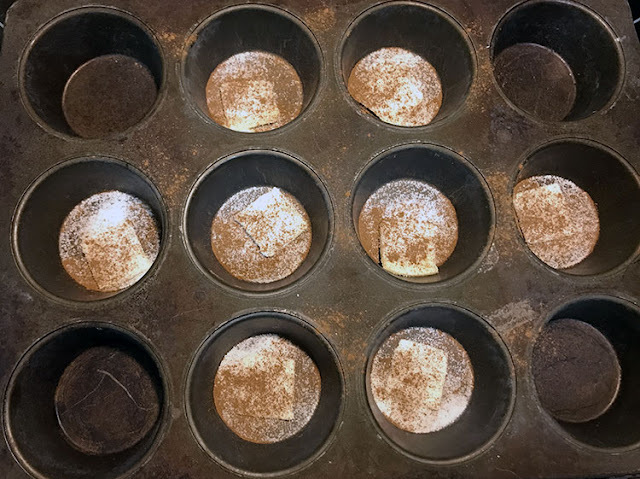 You are very clever to use muffin cups for individual servings. A little sparkle of colored sugar makes it a true party! Happy Mardi Gras to you!